Jake joined Cornerstones as Program Director in 2009 after retiring from a thirty-year historic preservation career from the National Park Service. The majority of those years were spent in the southwest focusing on earthen, stone and timber architecture where he served as project manager and architectural conservator. He began his career as a carpentry contractor in 1970 and started working in historic preservation in 1978 in the National Capital Region of the NPS. He first volunteered for Cornerstones in 1987 shortly after moving to Santa Fe. He was named Executive Director in April of 2016. He earned a B.F.A from the University of North Carolina in Chapel Hill and his post graduate studies include architectural conservation certificates from the ARC course and Stone course at the International Center for the Study of Preservation and Restoration of Cultural Property (ICCROM) in Rome and Venice, Italy. He is the 1996 recipient of the Appleman-Judd Award for Cultural Resource Stewardship in the NPS. He received the 2002 New Mexico Heritage Preservation Award and in 2015 he received the New Mexico Lifetime Achievement Heritage Preservation Award. The cheerful voice answering the phone or the smiling face you’ll see when you pay a visit to Cornerstones is that of Jean Bowley. Jean is also the organization Historian, having first worked as a volunteer and then being persuaded to join Staff for a total of 23 years. She is the fount of all Cornerstones’ knowledge. Jean was born in Kansas City, Missouri, attended college in that same state, but has spent most of her life in the Southwest, including California. She enjoyed a career as a para-legal and retired from that profession when she and her husband, Robert, moved to Santa Fe in 1992. She is the mother of three children, and has 7 grandchildren and 8 great grandchildren. When not “running” Cornerstones, Jean can be found knee-deep in her garden. 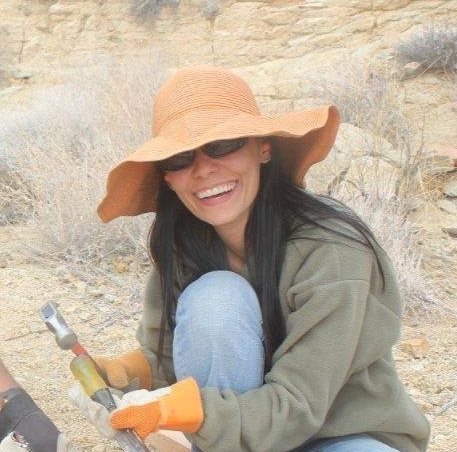 Jean serves Cornerstones as Project Manager, having a strong, in-depth background both educationally (degrees in English, Anthropology, Historic Preservation and Public History) and in the field of conserving cultural resources. She meets each of the Secretary of the Interior’s required professional qualifications for History, Archaeology, Historic Preservation and Historic Architecture. Jean has worked with dozens of communities and agencies to document more than 100 WW11 and Cold War-era buildings and has partnered with NMSU’s Engineering Technology program students and faculty to document a variety of resources in New Mexico. With Cornerstones, Jean has served as the principal investigator on more than twenty projects at Organ Pipe and Arches National Monuments, Mojave National Preserve, Grand Canyon, Joshua Tree, Death Valley, and Guadalupe Mountains National Parks and White Sands Missile Range. Each of these projects involves National Park Service staff and volunteers undertaking a wide range of tasks including Conditions Assessments, Preservation Recommendations, and hands-on preservation work involving traditional adobe, mortars, plastering and carpentry. As if that is not enough work in the field, Jean and her partner are finishing their own lime-plastered adobe home in their spare time with the help of their rescue “mutt”, Dobie! 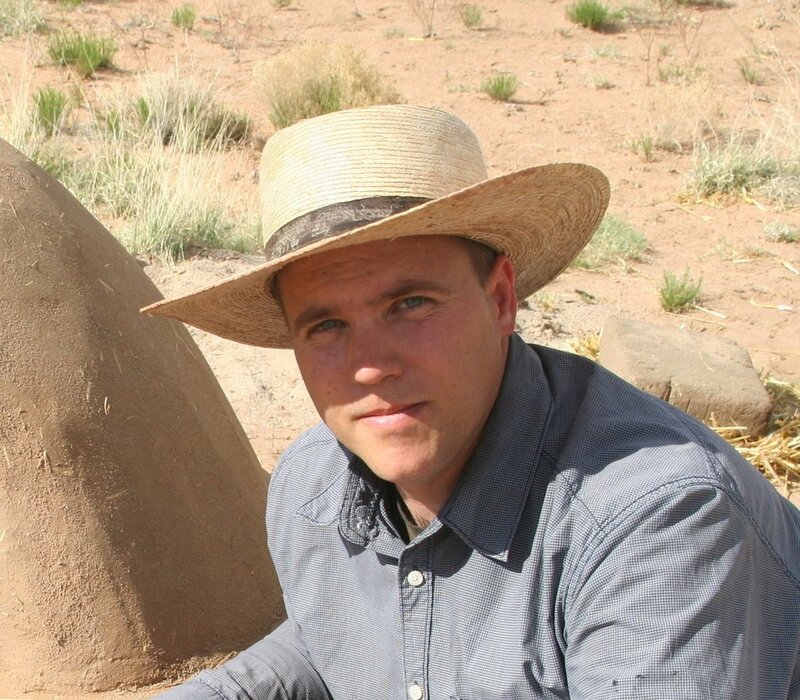 Kurt Gardella specializes in online and field-based adobe construction education with a focus on adobe brick production, wall construction and natural plaster. He holds a Certificate in Adobe Construction from Northern New Mexico College and is also certified as a Specialist for Building with Earth (Registration #01-208-0810) by the Dachverband Lehm (German Association for Building with Earth) and the Handwerkskammer Ulm (Ulm Chamber of Trades and Crafts). He currently teaches for Adobe in Action, Santa Fe Community College and Adobe is not Software. Nicole Kliebert is the training coordinator at Cornerstones. She develops youth adobe curriculums, evaluates the training program including interns and volunteers, plans and implements communications for web and print, and takes part in grant writing. Prior to joining the Cornerstones team, she was a service-learning coordinator for a youth gardening project, assistant director at a teen center, and a 4-H agent. She has a master’s in leadership development from University of Georgia and a bachelor of science from Oklahoma State University. In her free time, she loves to cook, read, ski, hike, and swim. Don Sena is a graduate of Santa Fe High School and studied Geology and Physics at New Mexico Highlands University and New Mexico State University. 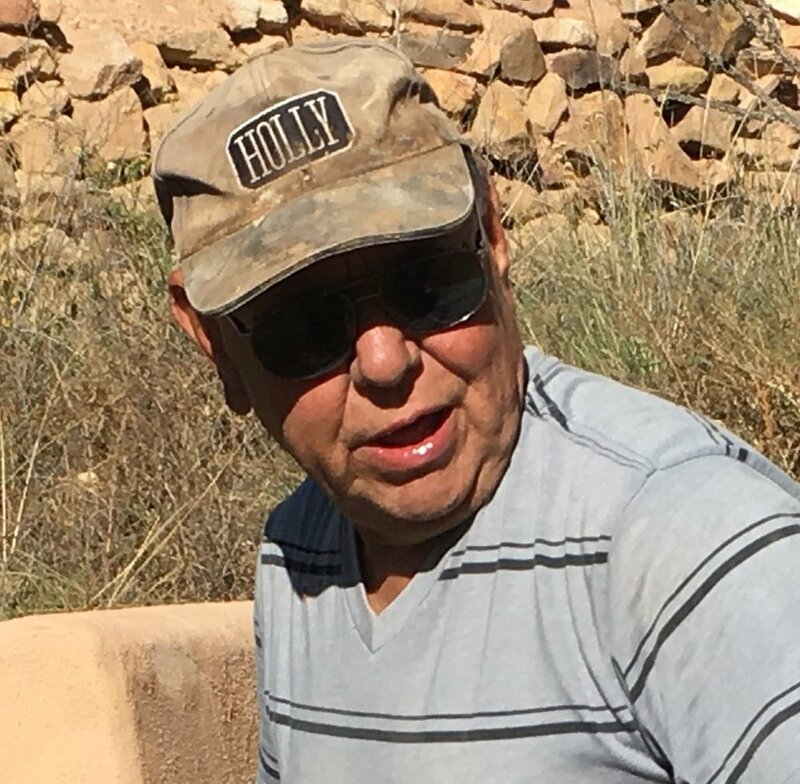 He began volunteering with Cornerstones in 2011 At San Miguel Chapel where he learned techniques of adobe restoration. As a project manager, Don does site inspections, work estimates, and supervises interns and volunteers. Prior to working at Cornerstones, he worked at New Mexico Department of Transportation for twenty-six years, was a supervisor at an oil rig for four years, and was an underground miner at a uranium mine for four years. Georgina is a graduate of Universidad Centroamericana José Simeón Cañas with a bachelor’s degree in Architecture and master’s degree in Renewable Energy from University Done Bosco. Her main interest is using local building materials and techniques in a modern way, and sustainable energy management. Through US/ICOMOS she applied to Cornerstones to learn how traditional methods are practiced in the Southwestern United States. She started her internship at Cornerstones in June of 2015. During her time here, she finished her Master’s Thesis “Methodology of optimization of steam power plants using genetic algorithms”. 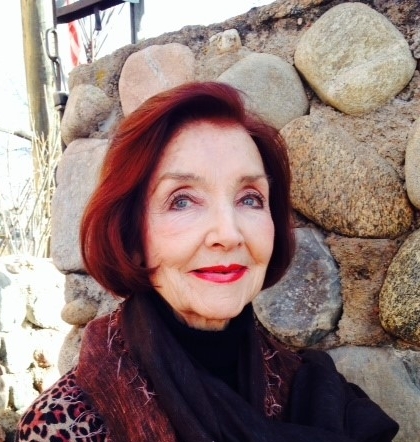 Maureen is a native of Connecticut, but moved to Santa Fe via Arizona in the summer of 2014. Her professional background has focused on sales, marketing and fundraising. Maureen specialized in the sale of historic properties and was named #1 Broker in a Hartford commercial real estate firm having consummated the largest sale in the history of the company. She has received awards for Outstanding Community service (as well as sales) as a Realtor in the residential market in Tucson. While serving on the Board of Directors for Habitat for Humanity Tucson, she was persuaded to join staff and become the Director of Philanthropy, directing the fundraising and development efforts of the non-profit. Maureen has always been deeply engaged in the community in which she lives, serving on the Boards of human services and arts’ not-for-profit organizations. She is currently a Board member of the New Mexico Committee for the Women in the Arts Museum, an affiliate of the Museum in Washington, D. C. and Kitchen Angels. Maureen attended Hollins College, Virginia and the Sorbonne University in Paris, France. Travel is her passion, but she also enjoys film, the performing arts, reading and hiking. I had the privilege of working in preservation for around 40 years. I began as a Bridge and Building Foremen for Amtrak railroad in 1976 on the Northeast corridor from Philadelphia to New York. Most of the stations along that line were historic although not listed on the registry at that time. After the railroad, I went to the National Park Service and became a woodcrafter/trainer for the Historic Preservation Training Center and later for the Western Center for Historic Preservation. I have built windows for the White House, restored windows for Independence Hall, built Sally Port doors for Fort Point in California, worked on the original Amphitheater at Arlington Cemetery, spent a year and a half at the leprosy colony in Kalaupapa Hawaii, and helped open the White Grass Training Center by setting up their shop and building 30 windows. I am currently working on windows and doors for Cornerstones for the JO Ranch in Baggs, Wyoming. I taught profile knife grinding and preservation techniques for my whole career throughout the United States. I love what I do and hope I can continue to preserve our nation's treasures for a long time to come.